Beginning at age 5, Lisa Morzel and her family traveled to Colorado for summer camping trips in Rocky Mountain National Park. She recalls her father, a naturalist and conservationist, pointing out rocks and giving her real-life science lessons. Morzel was especially captivated by Specimen Mountain, an extinct volcano on the western slope of Rocky Mountain National Park that was active about 29 million years ago. She was first introduced to Boulder in 1958 when she and her family would make stops in the city on their way to RMNP. In a large part, it was those summer trips that piqued her interests in both geology and Boulder’s culture—and would have a large influence on the rest of her life and career path. “There wasn’t any doubt in my mind that I would live in Boulder when I grew up,” says Morzel, 62, who is seeking re-election on the Boulder City Council this year. She and her husband Pat live in the Centennial neighborhood in north Boulder. She has three sons, Jesse, 25, Nate, 27, and Tim, 30. Dogs have always been a part of her family, too. She presently has a dog named Leila—but she’s had dogs most her life, starting with a battery-powered toy dog named Gaylord when she was a child. Professionally, Morzel is a Research Geologist emeritus with the U.S. Geological Survey, working with the Yellowstone Volcano Observatory. Morzel studied volcanology—earning a doctoral degree from the University of Hawaii in 1988 and a master’s degree from the University of Colorado in 1981. She earned her bachelor’s degree in geology at the University of Missouri at Kansas City. As a graduate student at CU, she admits that she was unable to afford rent while also paying for her field research. She spent a semester living under a drafting table in the campus geology department. The experience makes her empathetic, she says, to the demands for affordable housing in Boulder. “We have to have people who work here and take ownership of this community be able to live here,” she says. Social activism has also long been a part of Morzel’s life. Growing up, her parents were political activists working on fair housing issues in urban Kansas City, Missouri, and their work was often the topic of discussion at the family dinner table. As a young adult, Morzel would hitchhike to Boulder to partake in political rallies on University Hill, advocating for lowering the voting age from 21 to 18. At the time, Morzel recalls, many of her friends were serving in Vietnam, yet did not have the right to vote. David Bolduc, founder and owner of Boulder Book Store, is a longtime friend and supporter of Morzel. Bolduc says Morzel does a good job hearing from Boulder citizens or business leaders, and seeking out their concerns. As an example, Bolduc says, Morzel recently listened to his concerns about rapid growth in Boulder with multiple construction projects throughout the city. Morzel has served on Boulder City Council from 1995 to 2003 and again from 2007 to present. She is seeking re-election because she wants to position Boulder to not just be a leader in the state or country, but in the world. “I’ve very much been an advocate for the people of Boulder,” she says. If re-elected, she looks forward to charting the course to an independent, municipal utility with more renewable energy sources and putting in place policies that support strong, local businesses and the city’s nonprofits. During her term on council, the city’s budget reserve increased from 2 percent to 15 percent, which was crucial during the Sept. 2013 historic flooding, she says, as the city had the money available to respond to the disaster. “I think people would be surprised that I’m a fiscal conservative,” Morzel says. Sustainable living is among Morzel’s hobbies and interests. Since the late 1980’s, she has been in the habit of generating less than three bags of trash per year. She is a composter, permagarden builder and co-designed and co-built the first structural adobe home in Boulder in 1987-88. 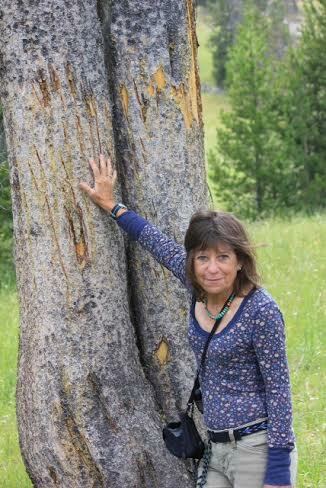 Morzel also enjoys hiking, painting, writing poetry and climbing trees.